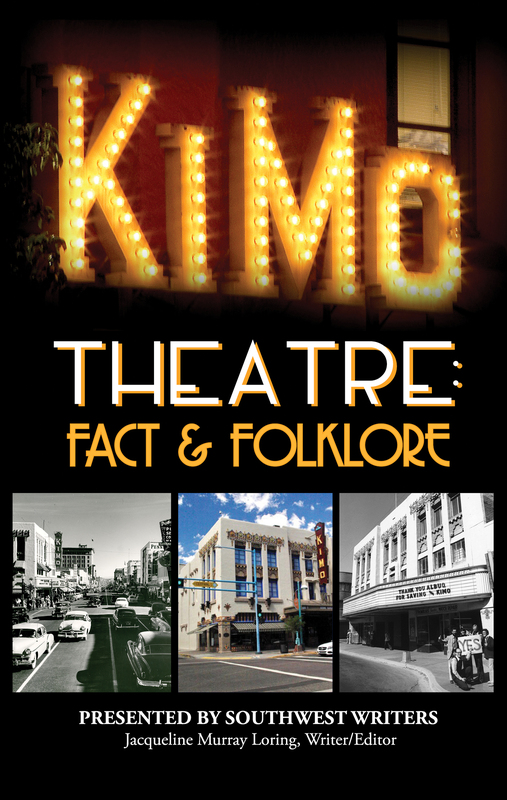 KiMo Theatre: Fact & Folklore. Appearances by KiMo Theater performing artists will include the Kalpulli Ehecatl Aztec Lead Dancer, the New Mexico Young Actors Guild, the Watermelon Jug Band, and others. There will also be a silent auction of KiMo memorabilia. KiMo Theatre: Fact & Folklore, presented by SouthWest Writers and writer/editor Jacqueline Murray Loring, is a collection of newly-told stories, articles, memoirs, insights, opinions, never-before-heard remembrances, and researched facts about the KiMo as a performing arts theatre and a movie palace.